Trying to find college scholarships is no easy task. With tuition prices being so high many local scholarships have stiff competition and when looking for scholarships online you have to weed through layers of junk to find the legitimate ones to apply for. Even though trying to find scholarships can be a pain it’s something you should most definitely do. What Kind of Scholarships Are Available and How Do I Find Them? There are several different type of scholarships. Some scholarships are merit based, meaning your grades need to be kept to a certain level to receive them or you need to show exceptional performance in something such as a sport or extra-curricular. Other types are awarded based on location, income, demographic (such as being a certain age), or degree based. While trying to find scholarships it’s important that you look for the ones in which you actually qualify for. 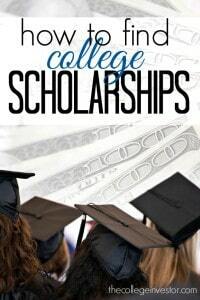 Here are some of the best strategies for finding college scholarships. There are many employers that will award scholarships to the children of their employees. Have your parents check in with the HR department at work. If you’re currently employed it’s also a good idea to check in with your employer to see if scholarships are offered. Your financial aid office will be able to give you information on different types of scholarships from federal agencies, state agencies, work study, and other campus scholarships. After checking with your parents’ employer your financial aid office should be the next step. Many community and religious organizations offer scholarships locally. This includes sport teams, churches, and even local restaurants. While the sums of these scholarships might be low they still help and are worth applying to. When it comes to finding scholarships online scams are plentiful. One way to prevent getting scammed is to use the US Department of Labor’s Free Scholarship Search Tool. You can use this website to search for scholarships based on state, study level, and affiliation. This makes finding more scholarships you might be eligible for easy. If you are going into college with a specific career in mind then it might be worth it to go ahead and join the professional organization in your niche. Almost every career field has a professional organization and most are free or inexpensive to join. And best of all, a lot of professional organizations award scholarships! FastWeb is a free website where you can find scholarships, internships and more. When you create an account you’ll be able to search for scholarships based on your interest, degree, location, and skills. Since you can customize your searches you’ll be far more likely to find scholarships that you actually qualify for. 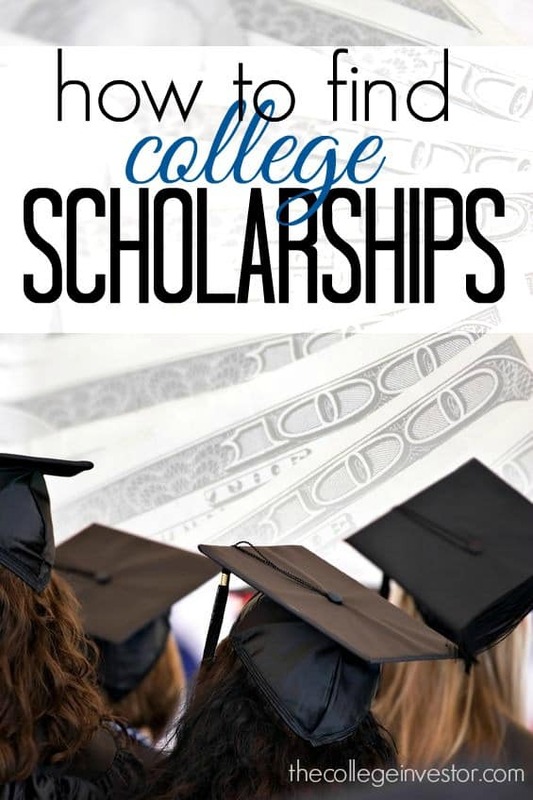 FastWeb currently has more than 1.5 million scholarships in their database so this is definitely a site you should check out while on your scholarship hunt. You can find state based grants at The Department of Education website. State based grants come in the form of free financial aid. Some states will require that you complete the FAFSA to see if you qualify to receive a grant. Other states will require that you complete a different application. You should be able to get more information on the requirements at your college’s financial aid office. Needs Based Grants – These are awarded based on financial need. Merits Based Grants – These type of grants are awarded to those who exhibit above average performance. This could be in the form of extra-curricular activities, such as being a star athlete, or academic performance. Some states also award a hybrid of needs/merit based grants. High Need Fields of Study – Your state may award grants to students studying in high need STEM fields. Student with Disabilities – You may also find special state grants, and even scholarships, if you have a disability. It’s important to note that most state grants are awarded on a first come, first serve basis so make sure you get your application in on time. The Free Application for Federal Student Aid, better known as the FAFSA, should be one of the first things you worry about. The FAFSA can help you get college grants and can be used as an application for certain state grants as well. There are tons of legitimate scholarships and grants you can apply for. While you should take your time and apply for as many scholarships as possible you also want to be on the lookout for scams. As a general rule of thumb you should never pay an application fee and be wary of scholarships services that guarantee success. You also shouldn’t pay for a list of scholarships. If you look in the right places you can find scholarships yourself. If after applying for scholarships you’re still left with a hefty tuition bill be sure to check out our Ultimate Guide to Student Loan Debt for everything you need to know to make intelligent student financing decisions. And you also may be eligible for student loan forgiveness based on your degree so be sure to check that out too. At College Money Insider, we like to research unique scholarship opportunities that students may not know about and post deadlines for applying each month. I’ve found a lot of useful scholarships at FastWeb, I love that site! I’ve also found some cool ones at weird scholarships.net. That last one is a new website dedicated to letting us all know about some very unique scholarships. Remember that when you apply for these that seem off-the-wall, you probably don’t have a lot of competition since 1, not a lot of people know about them, and 2, if you qualify, it is probably pretty specific to you. Sure writing the essays can be a pain, but it is so worth it! Great tip on applying for the more unique scholarship opportunities. That is where a lot of money goes unclaimed.